W.P. Nason, son of James and Margaret Nason, was born in Fairfield District, SC, May 16, 1824, but was raised in Georgia and Mississippi. He attended college in Fayetteville, TN for one term in 1849, read medicine with his brother, a practicing physician, for a while in 1852, and attended another term at South Hanover College, Madison, KY in 1855. He taught school in Kentucky and Mississippi from 1849 until 1857, then he and a friend, William Thomas Baird, moved to Kirksville, MO. In Kirksville, Baird settled down as a banker and Nason continued teaching but did not settle down. He alternated between teaching in rural schools and operating his own school in town until 1862, and for a year, 1860-61, also held the part-time position of Adair County School Commissioner. He moved to Green Lake, WI in 1862, back to Kirksville in 1865, to Carroll County, KY for a few months in 1865 and, finally, back to Kirksville in 1866. He was principal of a school in Kirksville when Joseph Baldwin opened his Normal School in 1867 and asked him to join the faculty. He remained with the First District Normal School for twenty years, serving as Interim President for a year after Baldwin's resignation in 1881. Nason and Wisconsin native Sarah Cowan married January 23, 1859 and had two sons, William B. and James C. Nason. Sarah and another infant son died in Green Lake in 1864. His second wife was Sarah Ann (Griffiths) Thompson, a widow with a young daughter, Emmir. They married in Kirksville June 12, 1866 and had one son, George Frank Nason. After Sarah's death in 1907, W.P. lived with George in Delaware for a couple of years before deciding to reestablish his home in Kirksville. He was on his way back when he became so ill that he had to be carried from the train when it arrived. He was taken to the home of his old friend W.T. Baird where he died the evening of July 16, 1909. He was buried at Forest Cemetery, now known as Forest-Llewellyn Cemetery, in Kirksville. 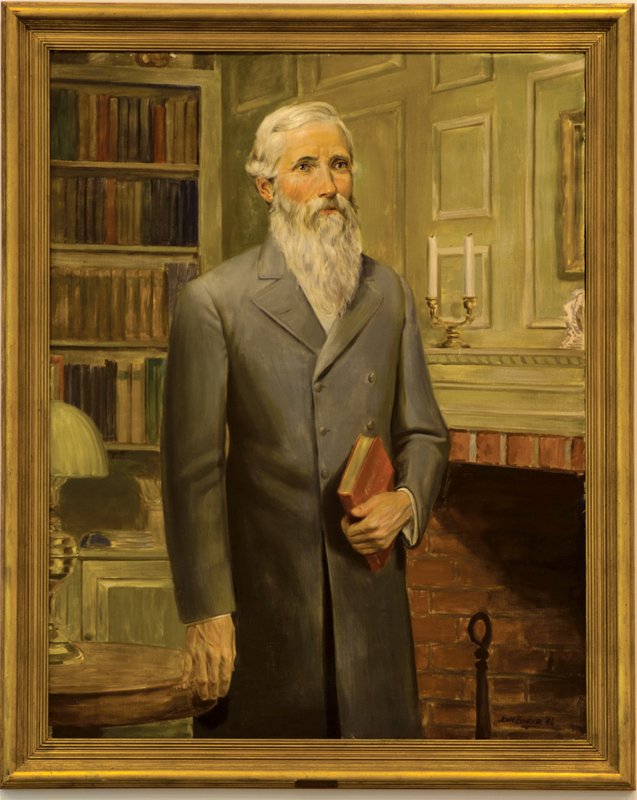 Nason Hall, one of the residence halls on campus, is named in his honor, and his portrait hangs in the Presidents Gallery.